JFH News: Marc Martel Releases First Solo Christmas Project "The Silent Night EP"
Nashville, Tenn. (Dec. 7, 2016) --- Queen Extravaganza and former Downhere vocalist, Marc Martel, has released his first solo Christmas project, “The Silent Night EP.” The record was produced by Martel, with help from Jordan Wiberg, and features seven holiday classics presented with the powerful vocals of Martel. The first single from the record, “What Child Is This?” is one of the most added Christmas songs of 2016, and debuted on Billboard’s AC Monitored chart at No. 27 this week. There are over 40 Christian radio stations playing the song that include KSBJ/Houston, Texas; KLTY/Dallas, Texas; KXOJ/Tulsa, Okla. and multiple Fish stations across the country. The song also features guitar and banjo virtuoso, Ron Block, who is a 14-time Grammy winner and band member with Alison Krauss and Union Station. The project is available at all online digital music outlets and at MarcMartelMusic.com. "Christian radio has been a huge part of my career as a musician, said Martel. “It feels so good to be back as an indie solo artist this 2016 Christmas season, and I'm so grateful to be so enthusiastically supported by my friends at Christian radio once again." With Martel’s versatile vocals, he continues with an active touring schedule that includes solo concerts, Queen Extravaganza shows, and special events and appearances. 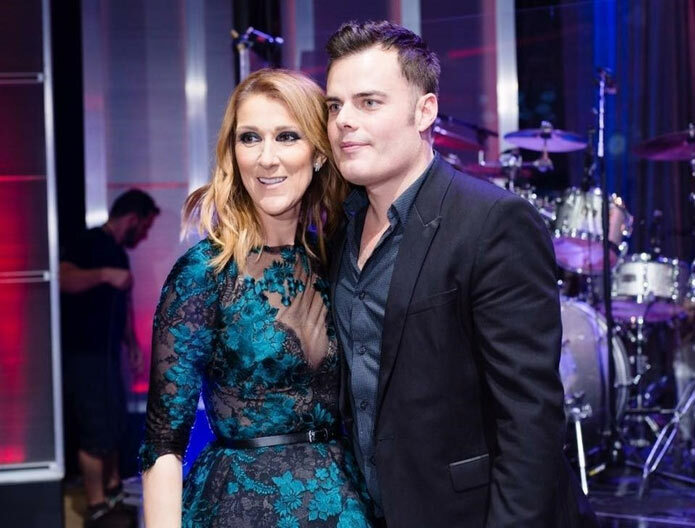 One of his recent high-profile appearances was in his home country of Canada in September, where Martel was one of the performers selected by Celine Dion for her tribute event from Radio-Canada’s annual Television special, "En direct de l’Universe." Martel sang Queen’s hit song, “Somebody To Love” and the performance brought tears to Dion’s eyes. For more information and updates about Martel: www.martelmusic.com, www.facebook.com/marcmartelmusic; www.twitter.marcmartel; www.instagram.com/marcmartel. Marc Martel became a worldwide renowned vocalist after he submitted his 2011 cover of Queen’s “Somebody to Love” to the Queen Extravaganza auditions. The audition became a multi-million sensation on YouTube. To this day, the video has over 17 million views and the number is still climbing. With his Freddie Mercury looks and vocals, Martel was added to the Queen Extravaganza, the Official Tribute of Queen, which led to major media coverage with the Ellen DeGeneres Show, American Idol, USA Today, Huffington Post, Wall Street Journal and Billboard. With the Queen Extravaganza Tour, Martel has toured the U.S., Canada and internationally, while also performing solo for The Phoenix Suns, LA Clippers, San Francisco Giants and the Calgary Stampede. Before becoming an international sensation, Marc Martel was lead vocalist for the Christian group Downhere, along with Jason Germain, Jeremy Thiessen and Glenn Lavender. The band moved from Canada to Nashville, Tenn. and signed with Word Records and Centricity Music. Downhere released six studio albums, won 24 GMA Canada Covenant Awards, five Juno Awards and one Dove Award, before disbanding in 2012. For more info on Marc Martel visit the JFH Indie Artists Database.